WISCONSIN RAPIDS, WI – Did you know… that you have all of your community’s resources at your fingertips? United Way’s 2-1-1 is a FREE, easy way to get your questions answered. 2-1-1 is an Information and Referral Line available 24/7 to anyone looking for resources. 2-1-1 staff maintains a database of community resources and connects callers to the services or organizations that meet their needs. 2-1-1 is especially helpful to callers who have a “spectrum” of needs due to an emergency, such as loss of job or health issues. They can simply dial 2-1-1 and get referred to a number of agencies with one phone call. In Wisconsin Rapids, Mayor Zach Vruwink has officially proclaimed February 11, 2019 as “2-1-1 Day” as well. This year there is so much to celebrate too, with the addition of the Wisconsin Addiction Recovery Helpline and the option to text your questions. The 2-1-1 Wisconsin Addiction Recovery Helpline connects people with local treatment services and recovery resources for any kind of substance use disorder, from opioids and methamphetamines to alcohol. The service is available to anyone, including people struggling themselves or those reaching out to help a friend or loved one struggling with substance dependence. The Addiction Recovery Helpline is staffed by trained specialists, who connect callers with local treatment services and recovery resources right in their community, so action can happen as quickly as possible. People can reach the Helpline by dialing 2-1-1 or 833-944-4673. The service is available 24 hours a day, seven days a week. More information is available atwww.addictionhelpwi.org. United Way’s 2-1-1 is also proud to announce TEXTING SERVICES as a way to find resources in our community. You can text your zip code to 898211 to get local resources sent right to your phone. Texting is available from 8am-4pm Monday through Friday. · There are 7 call centers in the state of Wisconsin. Every county in Wisconsin is covered by one of these call centers. · In Wood County, 2-1-1 is a partnership between United Way of South Wood & Adams Counties and Marshfield Area United Way; and covers 14 counties from Ashland County to Juneau County. · Each call is answered by a real person – an Information and Referral Specialist that has been trained in navigating the maze of human service programs. · Non-English speakers are assisted through a telephone interpreting service. · Dial 2-1-1 on your phone and you will be routed to the nearest call center. · If you have trouble getting connected, call our toll free number at 877-947-2211. · Text your zip code to 898211. · Visit our database of community resources at www.uwswac.org/2-1-1. · All calls are FREE, confidential and available 24/7. 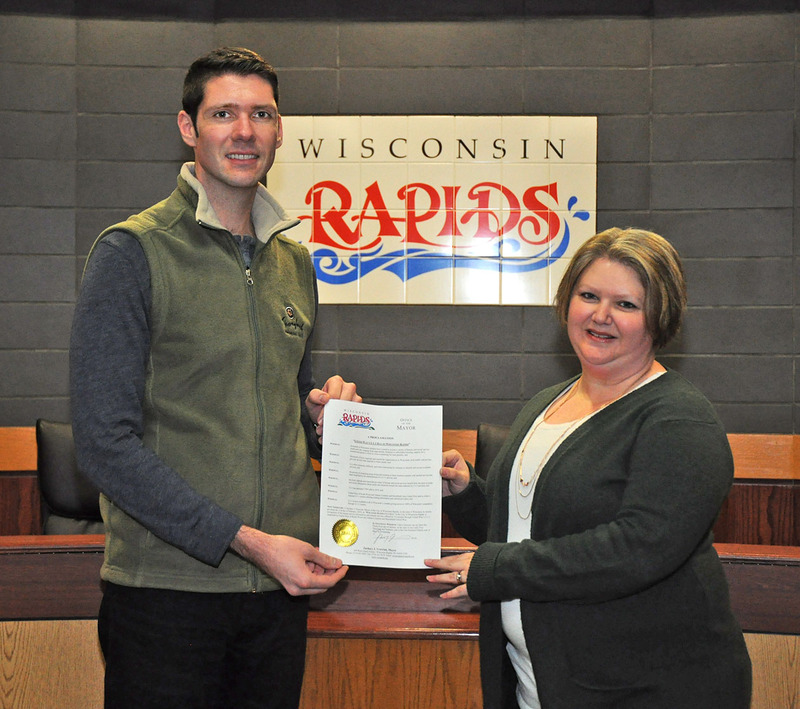 Wisconsin Rapids Mayor Zach Vruwink recently proclaimed February 11, 2019 “2-1-1 Day.” Pictured here are Mayor Vruwink and Amy Fluno, 2-1-1 Program Director. 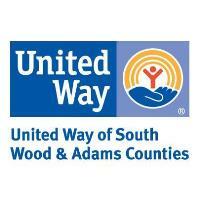 United Way’s 2-1-1 is a non-profit organization based in south Wood County and is governed collaboratively between United Way of South Wood & Adams Counties and Marshfield Area United Way. The 2-1-1 call center serves Wood, Adams, Ashland, Barron, Bayfield, Burnett, Clark, Iron, Juneau, Price, Rusk, Sawyer, Taylor and Washburn Counties.